Traditionally, that question has been the province of religion. But, increasingly, academic researchers are trying to divine the answer using the scientific method. Most Buddhist traditions say the answer to that maybe-unanswerable question is rebirth. 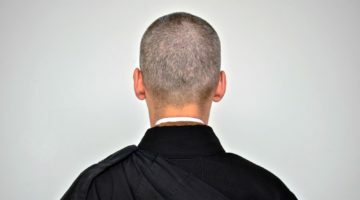 At the same time, the Buddha — along with many contemporary teachers — have said that Buddhists needn’t, or maybe shouldn’t, dwell on the idea of past and future lives. And there is no unified understanding of rebirth from one life to another in Buddhism. Indeed, many contemporary Buddhists assert that we almost certainly can’t know anything about rebirth. In the May 2018 issue of Lion’s Roar, I wrote about the contemporary study of reincarnation, led by psychiatrist Jim Tucker at the University of Virginia’s Division of Perceptual Studies. Tucker isn’t concerned with spirituality. He uses rigorous scientific methods to investigate cases in which children seem to recall past lives, and — as I report in my article — he has found some remarkable examples. Even more remarkable than the individual cases, though, are the insights that can be gleaned when the cases are examined en masse. Tucker and his colleagues have collected thousands of cases and coded them into a computer database for statistical analysis, and they’ve started to draw some fascinating conclusions. In general, there isn’t much of a unified Buddhist view on rebirth. 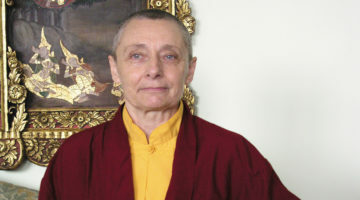 Many Buddhists decline to engage any discussion on the subject. And, as of yet, reincarnation research has yielded some interesting evidence but hasn’t produced any proof or solid theory of reincarnation. I like to compare the two purely as food for thought. Personally, I find that it challenges my ideas about rationality and the mind. So, in the spirit of good fun, here are a few ways that the research and the teachings agree and disagree. The main phenomenon studied in reincarnation research is mental or physical attributes passing from one life to another. Most commonly, these are memories. The interview subjects find a young child who is describing things they couldn’t have experienced, which took place before they were born. The researchers tend to take on cases in which they expect they might be able to uncover a “previous personality” (PP). Along with memories, the researchers also look at physical attributes — like birthmarks or birth defects — and behaviors that seem like they could be connected to the PP. There are many cases in which a child has a birthmark the size and shape of a gunshot wound (sometimes they even have a second, larger birthmark matching an exit wound) that correspond precisely to a fatal gunshot wound on the PP. In some cases, the autopsy report confirms that the location of the wound matches the location of the birthmark. Often, the children exhibit signs of PTSD, despite having no reported trauma in this life. More than half of children whose PP purportedly died of drowning are scared of water. More rarely, there are cases in which a subject knows a foreign language or has other skills purportedly learned in a past life. 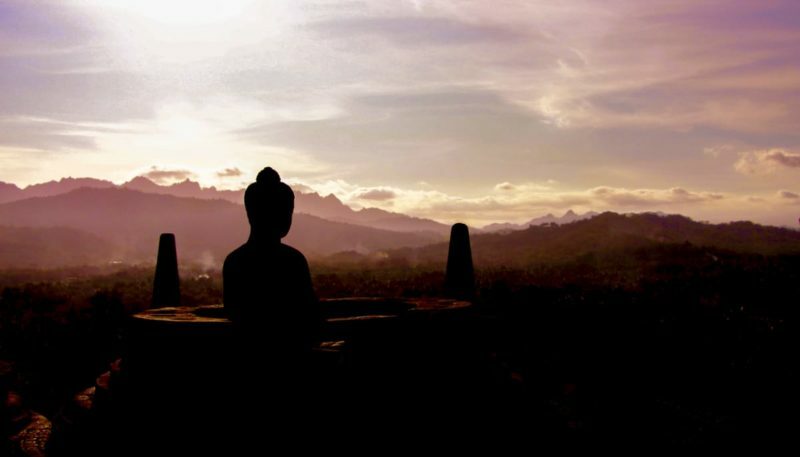 To find a Buddhist corollary, we need look no further than the story of the Buddha. He was said to have remembered all of his past lives the night before he attained enlightenment. He was also said to be marked with 32 physical (and fantastical) characteristics accrued during past lives. And, there is a story that when the Buddha went to school as a boy, he understood many foreign scripts that even his teacher didn’t know, learned in past lives. Such stories continue today in the Tibetan tradition of tulkus, reincarnate lamas, who are often identified by their ability to recognize objects belonging to their predecessor. The researchers also take into account seemingly supernatural predictions or dreams that correspond to seeming cases of reincarnation. The dreams, most often had by the mother, involved a figure coming to them and asking to be their child. In the case of the Buddha, his mother reportedly had a dream in which an elephant came to her and entered her womb. In the tulku system, Buddhist lamas give predictions about the circumstances of their reincarnation’s birth. Karma refers to the fact that our actions have effects. These effects are generally indecipherable, and may not develop immediately. It could take years or — if you believe in it — lifetimes for karmic consequences to flower. Amazingly, statistical analytics by reincarnation researchers has suggested that what the Dalai Lama says may be true. Tucker compared those traits against the social and economic standing of the person’s purported reincarnation. Out of all of those characteristics, Tucker found one correlation: the saintlier a person was in a past life, the higher the social and economic status of their reincarnation. As we look at the more complicated manifestations of karma, we can find other interesting trends in Tucker’s research. For instance, Tucker speculates that we deal with unresolved issues from our current life in future lives. A person who hoards wealth might find themselves poor in the next life. This parallels the Buddhist concept of “realms,” states of existence that we can be born into or experience from moment to moment. Like Tucker’s description, it’s said that our habits in one lifetime determine what realm we’re born into in the next. But Tucker observes that habits can also persist from one life to another. In the cases his team has collected there is a statistically significant correlation between personality traits in a person and those same traits in their reincarnation: a religious person was likely to have a religious reincarnation; a philanthropic person, a philanthropic reincarnation; a meditator, a meditative reincarnation. The subjects also retain the same gender 90% of the time. In the Buddhist view of rebirth, it is taught that habits — such as these — are mostly what carries from one life to the next. The Dalai Lama says that a person’s ability to remember a past life is dependent on their “capacity for retention.” The younger and more suddenly someone dies, the more likely they will be to carry memories and behaviors into the next life. This matches very closely with Tucker’s research. In 70% of Tucker’s cases, the previous personality died unnaturally, and the median age of death was 28. A quarter of previous personalities died before they turned 15. “Dying young increases the likelihood that a child will later report memories of your life,” writes Tucker. Furthermore, when a previous personality died of natural causes, the child is much less likely to remember the way they died. Those memories are more likely to be remembered at a young age, says the Dalai Lama, because the characteristics of the previous personality are overwritten by the experiences of the present personality. In Tucker’s research, most children start talking about a previous life around the time they begin to talk and stop talking about it by age seven. By the time they’re a teenager, they might deny ever having remembered a past life. The Dalai Lama also says that meditation will helps carry memories onward. While Tucker says he can find no indication of this in his research, the data does suggest that the more someone meditated in their past life the more likely they were to recall experiences from in between lives. About 20% of Tucker’s cases report memories from in between lives. These memories include experiences like their own funeral, their own conception, or another realm. The median average time between death and birth is about 15 months. That suggests there’s about six months between death and conception. Some schools of Buddhism discuss the time between lives, called the bardo, at length. Most famously, the Tibetan Book of the Dead describes the experience of the bardo in great detail. Tucker’s research contradicts the Tibetan Buddhist belief that a person spends 49 days in the bardo before conception — though that figure is sometimes thought to refer to figurative “days,” and not Earth days. Some schools of Buddhism say there is effectively no time between lives. Others don’t specify. Why talk about seemingly superstitious ideas like this? Buddhists like to talk about rebirth and its related ideas — like karma, realms, and bardo — because they’re not only experiences that take place from lifetime to lifetime. Regardless of birth and death, Buddhism teaches that these are all phenomena constantly occur from moment to moment. In each instant, the elements that make up this human body disintegrate and reform in a miraculous, continuous rebirth so persistent that it convinces us we are real, permanent individuals. In any moment, we can be reborn in a new realm, or lost in a groundless state of bardo. See also: Do I have to believe in rebirth to be a Buddhist? What are the Six Realms?